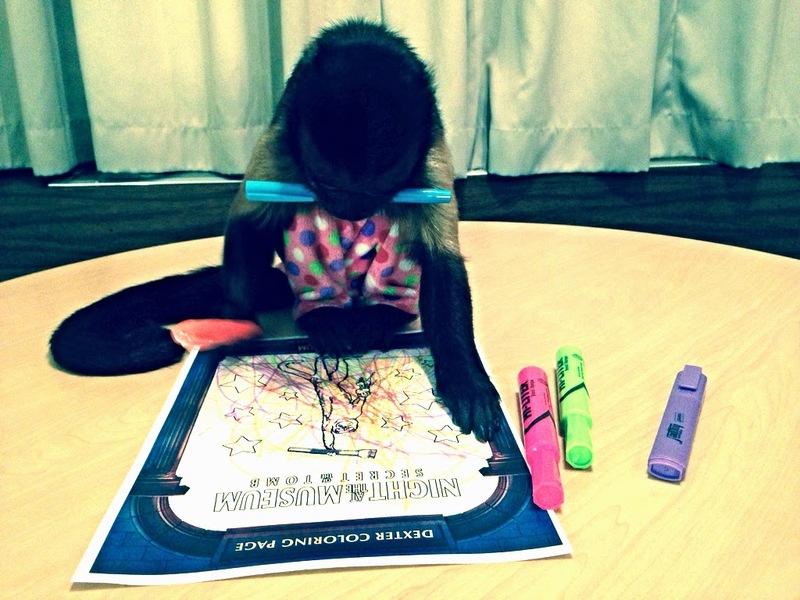 Crystal the Monkey loves to color! 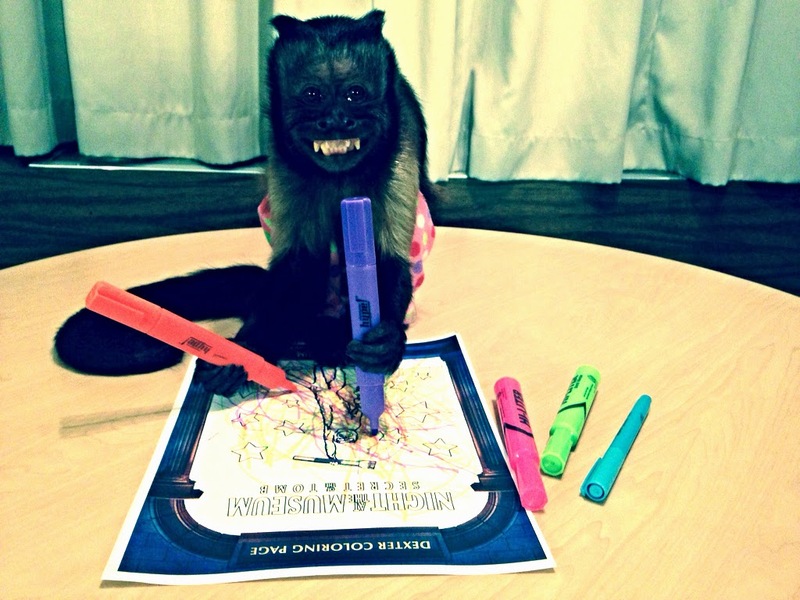 Our favorite leading lady -- Crystal the Monkey -- is more like us than you'd think! 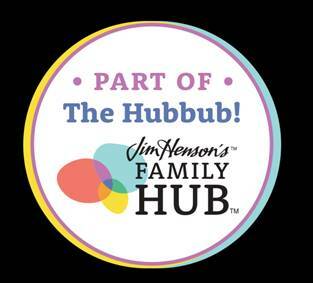 She loves to color just like your kids! Below are some exclusive photos of her coloring the Dexter coloring sheet from Night at the Museum 3 right in time for Family Movie Night! 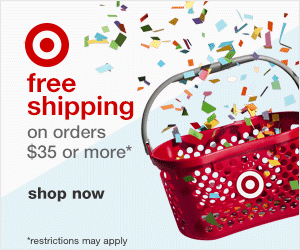 Download the coloring sheets here for your little ones. 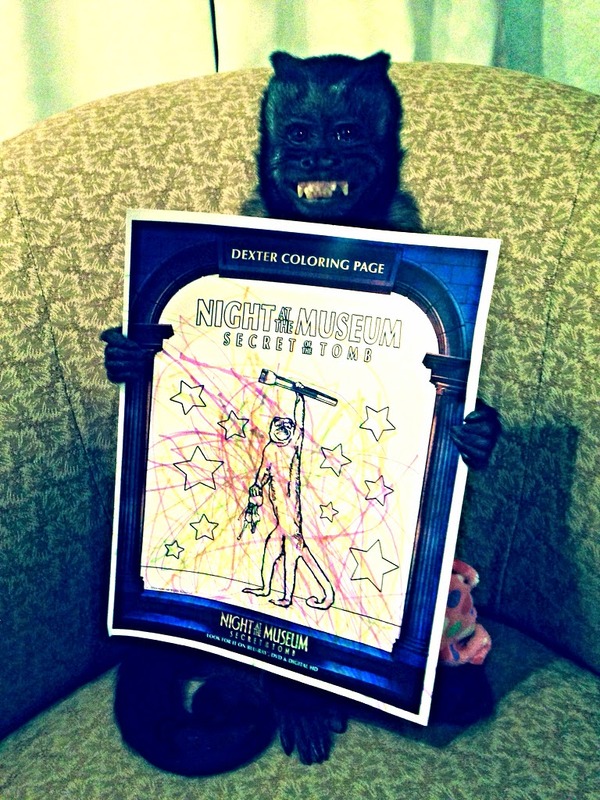 I bet they would love to color with Crystal.While you are at it, enter the giveaway for Night at the Museum 3. Crystal's Masterpiece. Look how proud she is!